I met Steve Goodman because our kids are in school together. I knew he was an expert on college education and part of the top colleges team. I didn’t know that he was a songwriter who uses songs to advocate on educational issues. 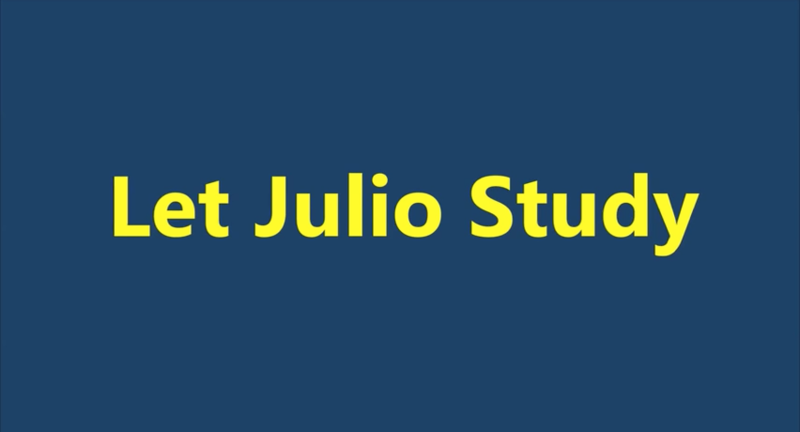 “Let Julio Study” is a song about Julio, his mom, and higher education. As a college advisor, I assist students and their families through the transition from high school to college. Why should that transition not be available to girls and boys who were brought to the United States by their parents? How are their educational aspirations any different from those who were born in the US? I was inspired to write the song after many discussions with high school students who didn’t qualify for in-state tuition because of their status. What a loss to the students, to their would-be colleges, and to society as a whole. I thought about writing an opinion piece in the newspaper but then decided that a song might be even more powerful. I attended a songwriting retreat, where I structured and fine-tuned the piece. There is an old adage that music speaks louder than words. I certainly hope that is true here. “Let Julio Study” is a musical expression of the college dreams of thousands of young people who stand ready to contribute to the world. Wouldn’t you want that for him? Julie Diaz-Asper is a geeky Latina working on making research a more social experience. Founded Social Lens Research to help organizations better reach and understand underserved and niche communities.